This week, I wrote a review about Mimi Page. In this weeks episode, we personally selected music that would compliment each song from one to the next. Not only do we have music from Mimi Page's brand new CD, Breathe Me In, we also have unreleased music by Max and the Moon. For nearly a year, Max and the Moon has been in hiatus from performing, but not on hiatus from creating music. In actuality, they've been working hard in the studio to create their new CD which is due to be released on Tuesday, March 27, 2012. 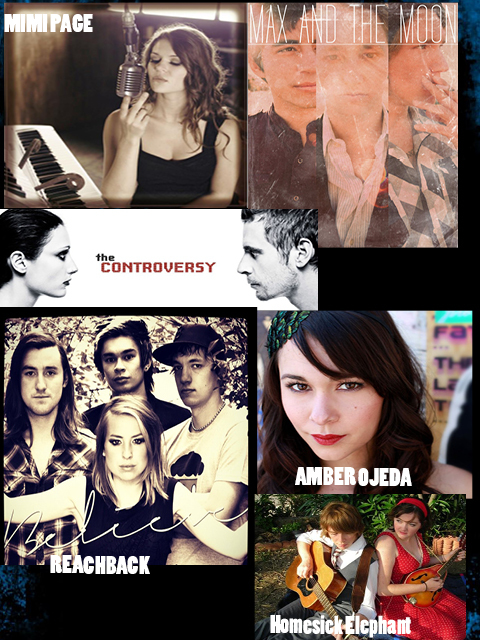 We also have music by Artist of the Year winner Laura Vall of The Controversy and new music by 2012 Artists In Music Awards nominee's Reachback and Homesick Elephant, plus a brand new song by the lovely Amber Ojeda.